One of the most worn items in my closet, this Maxi! What beautiful moods... Seriously... :* Love the maxi dress and those shoes are fab..
Really cute mood board!! 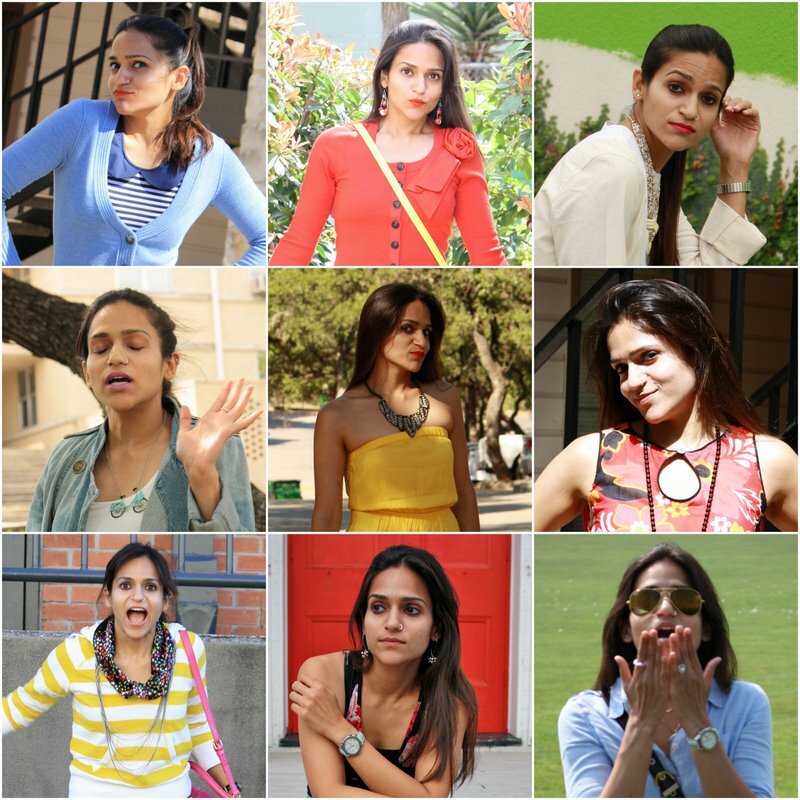 Your candid expressions are sweet!! I like the mood board, so darn awesome. ...and that's why we love you! Love your maxi dress girl! Wishing you a wonderful weekend beautiful! Any more scary movies for Halloween weekend? love the mood board idea of urs tanvi...n that maxi dress is wow!! That maxi is almost as versatile as you are :) ... And keep the mood boards coming. Love em! You are the master of mixing and matching. You truly have style that's your own. Love the I am series as well. Have a great weekend;)! I echo what others have said...you have a knack for mixing and matching. So cute! Awwww...sweet mood board:) Love ur maxi! The first pic on the mood board is the cutest! Love the maxi dress..so versatile! I like the white top with blue maxi..works very well together..
You rock the maxi length! That's such a pretty maxi. The colour really suits you. Love this mood board as well. You're so pretty in every picture! Caught up with all pending posts. May God bless both of you with many many years of togetherness full of love and understanding. Just follow your conscience when you write and let the reader make their own interpretations. Thanks for tips on not gaining weight and such good dress sense. hey can you please post a full length picture of the the dress you are wearing in the second row third pic. I have a kurti which is somewhat similar to your dress, I want to see how you have worn this! ou look so pretty with that blue skirt. The mood board is a brilliant idea! I love your mood board Tanvi! This blue maxi is gorgeous as well! Enjoy the rest of your weekend! You are not scared to speak your mind out. I will surely add that and 'fun loving' to your list. I have two maxi dresses in that color. So relaxed and comfortable and effortlessly gorgeous! The maxi color is bright and pleasant. In the mood board, liked the 3rd picture.. sarcastic look? Something different I'm seeing from you..
Lobe your mood board series..:) And absolutely love the 3rd and the 4th one !! You are a master at remixing lady! That mood board is soo soo cute!! fantastic pics! !i'm following you! !if you like mine, do the same!!!! Like I always say,since I don't have the guts to carry off a maxi,I have IMMENSE respect for all those who sport a maxi in style.And specially those who are brave enough to not only wear a maxi but also experiment with it.And ah,the mood board!Those pouts! I follow you religiously ( I do become lazy when it comes to commenting though) but trust me, you are a BIG big inspiration for new bloggers in so many ways. Wasn't sure how to comment on the Oct Overview post but I TOTALLY understand your up and down loves for the blog. You want it to be good (and it is) but sometimes it's hard to be good, every dang day! Nice blog Tanvi. Keep up the good work! Tanvi, can you do something, and lift the 'ban' on right-clicks on your web-page? Coz I always open interesting links in a new tab page, and read it later on. I am sure there will be others like me. You are, Tanvi! Just been reading your latest post (no comment function, or am I blind?) and feel very inspired to start running, too now. tanvii! I am so sorry for being away! hahahah! love it! made my day!